OnPassive is currently being marketed via a “GoFounders” prelaunch website. Both the OnPassive and GoFounders website domains were privately registered in mid 2018. The OnPassive website is currently a placeholder that claims “Only Qualified Founders Accepted in Prelaunch By Invitation Only”. A video on the GoFounders prelaunch website presents Ash Mufareh as OnPassive’s founder. On Facebook Mufareh (right) cites himself as CEO and founder of GFI Fusion, a marketing team within Global Domains International. Going further back (~2010), Mufareh launched AshMax, a recruitment-based matrix scheme. 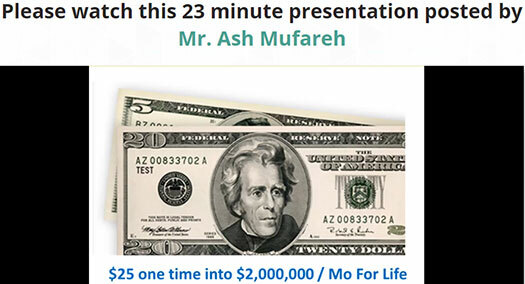 These days Mufareh promotes various “passive income” scams to a closed-group of investors who follow him from one scheme to the next. Two Ponzi schemes I was able to link Mufareh to include TelexFree and PayDiamond. TelexFree was a a Ponzi scheme launched in 2012. In a marketing video uploaded to YouTube in 2013, Mufareh downplayed TelexFree’s legal issues in Brazil. …however past doesn’t mean the future. Brazil doesn’t mean the United States or the world. Anyone who experienced what happened in Brazil (who had a position in TelexFree), they would definitely become more protected in the United States. Because we know they (TelexFree) have a strong will to survive and stay in the market for a very long time. Years to come. That said they (TelexFree) have to take extra measures to be protected in the United States as there is a very clear constitution and law that doesn’t change as frequent(ly), and to mention a solid law. I can’t accuse anybody or any government of having some maybe gaps or, you know what I’m talking about. But this is a lot more reliable in terms of business in the United States. TelexFree was shut down by the SEC in 2014. An investigation by a court-appointed Trustee has since revealed TelexFree investor losses in excess of $3 billion. BehindMLM reviewed PayDiamond in early 2017 and, based on its business model, concluded it was a Ponzi scheme. PayDiamond collapsed in mid 2018, shortly after which Ash Mufareh began setting up OnPassive. Read on for a full review of the OnPassive MLM opportunity. OnPassive has no retailable products or services, with affiliates only able to market OnPassive affiliate membership itself. OnPassive affiliate membership provides access to adcredits and a “marketing automation” platform. OnPassive affiliates purchase positions in up to four 3×10 matrices. 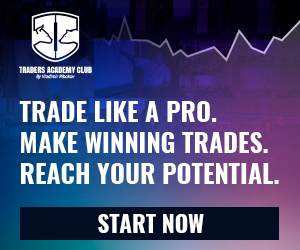 Commissions are earned when directly and indirectly recruited affiliates do the same. Levels three to ten of the matrix are generated in the same manner, with each new level housing three times as many positions as the previous level. Positions in the matrix are filled via direct and indirect recruitment of OnPassive affiliates, who buy positions in one or more of the four matrix tiers. Note that matrix position costs are monthly recurring, meaning the above commission amounts are also monthly recurring (for as long as recruited OnPassive affiliates continue to pay fees). Ash Mufareh is currently flogging “GoFounders” positions in OnPassive for $97. Presumably this comes with a position in each of OnPassive’s four matrix tiers. When OnPassive launches, affiliate membership is tied to $25 to $500 matrix position purchases. The OnPassive compensation plan suggests that matrix position fees are monthly recurring (including the $97 GoFounders positions). This means that full participation in OnPassive will come in at $900 a month. There’s inherently nothing of particular interest with OnPassive. It’s literally nothing more than a pyramid scheme launched by a serial scammer. The GoFounders launch is probably how the bulk of OnPassive affiliates will sign up, as I understand it’s being pretty heavily promoted. $900 a month is pretty steep post-launch and I imagine OnPassive will collapse shortly thereafter. Which is probably why the GoFounders “prelaunch” has dragged on for months. As I write this the OnPassive website boasts that ‘4000+ worldwide leaders (have) joined already‘. As for the adcredits, automated marketing platform and whatever else Mufareh attaches to OnPassive, none of helps on the legitimacy front. Just as TelexFree wasn’t able to legitimize Ponzi fraud with a VOIP service, neither can OnPassive legitimize pyramid fraud. As with all pyramid schemes, once affiliate recruitment dries up so too will commissions. Being a matrix based subscription scheme, this will start with those at the bottom of the company-wide matrix ceasing monthly payments. This in turn means that those above them will stop getting paid, eventually resulting in their stopping payments too. As this trickles up OnPassive’s four company-wide matrices, eventually an irreversible collapse is triggered. Other than Mufareh himself, those who followed him in from PayDiamond and a few early adopters, pretty much the rest of the OnPassive affiliates are mathematically guaranteed to lose money.